New and highlighted products for various applications. Please contact us for more details on any of the items. The Active Transceiver Cooler (ATC) is specifically designed for small form-factor pluggable (SFP) transceivers. The ATC thermoelectric assembly consists of a custom thermoelectric module (TEM), an aluminum base, Tflex thermal gap fillers, an NTC thermistor, fastener clips and connector. Featuring a Coefficient of Performance (COP) rating above 1.0 without forced airflow, the customizable thermoelectric modules offer a highly reliable thermal solution built to operate in high temperature environments. The EP185WAD152-1-PCAP-U-DM consists of an 18.5” (46.99 cm) LCD panel by Sharp with full HD resolution (1920 x 1080 pixel) in a 16:9 format. LXD's Graphic Module Assemblies having built-in digital control and interface drivers to suit a wide variety of specialized display needs. Hall-effect rotation sensing, along with dual-channel capacitive proximity/touch sensing, or single-channel inductive sensing. Combination sensor including: Hall-effect rotation sensing, along with dual-channel capacitive proximity/touch sensing, or single-channel inductive sensing. 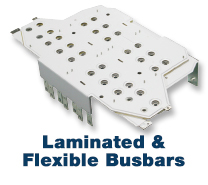 Laminated & Flexible Busbars | World Products, Inc.
World Products Inc.® is the Exclusive Agent in North America for Ebusbar® High Voltage High Current Relays. Laminated busbar, also known as complex busbar, is a multi-layered composite structure connected row, and can be considered distribution system highway. Flexible input and output, can be well integrated with connectors, fasteners, cable and other. Low resistance and good head dissipation efficiency. Reduce system noise and battery interference / radio frequency interference. Convenient installation and easy to maintain. IP68 sealed to endure harsh environments. Ceramic duplexer supports a universal footprint across all FDD frequency bands < 1 GHz enabling the use of a common system PCB. Provides superior rejection, insertion loss, reliability, as well as both peak and average power handling compared to other duplexer technologies. Designed around the successful eco|mate™ Circular Connector series with the added benefits of dynamic IP68/69K ratings (when mated), UV/Corrosion Resistance and a UL94-VO Flammability Rating, we expect to make a major splash in the Marine, Solar Energy, Off-Road, Instrumentation, Building Automation, Telecommunication and Traffic Control markets. The LEJ/LEJA series circuit breaker meets the evolving demand for the high performance protection of critical data center and telecommunications applications requiring up to 277VAC per pole, UL 489 listing in the smallest case size currently available in the marketplace. The LEJ/LEJA platform is based on the highly successful and field proven LEG/LEGA designs while incorporating state-of-the-art arc quenching technologies and offering voltage ratings that are well suited for global applications that require 208VAC through 277VAC ratings for increased power efficiency. Typical applications include power distribution units (PDUs) used in data center enclosures, telecom AC power supplies and a variety of Industrial applications benefiting from the higher power density. Like the LEG/LEGA product family, the LEJ/LEJA series offers a variety of features including different terminations and actuators to meet most any requirements. Micro quad small form-factor pluggable (microQSFP) interconnects provide zQSFP+ (QSFP28) functionality in a smaller, generally SFP-sized form-factor. At 33% higher density than QSFP, microQSFP interconnects fit more ports (up to 72) on a standard line card, saving significant design space.